Cosmetic dental bonding is a procedure that can repair many imperfections such as stains, cavities, chips, improper spaces, and length problems. The process involves applying a carefully matched tooth-colored resin to the prepared tooth. A special ultraviolet light is used to harden the material or bond it to the tooth surface. 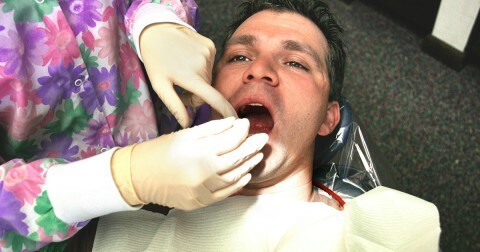 Dental bonding often takes less than an hour to complete per tooth, and anesthesia is not usually necessary. Cosmetic dental bonding is an affordable dental care choice. It is one of the fastest, easiest, and least expensive ways to repair cosmetic dental problems. Generally accomplished in one visit, cosmetic dental bonding requires no customized tooth coverings. When preparing a tooth for bonding, very little of the enamel is removed. Crowns and veneers require a substantial loss of enamel. While they are somewhat stain-resistant, dental bonding restorations do stain more easily than crowns. The materials used for bonding are also not as strong as the ones used in making crowns, fillings, or veneers, and they may chip or break away from your teeth. Do Teeth Require Special Care after Bonding? Good oral hygiene and regular visits to your dental clinic are all that is required to take care of bonded teeth. But keep in mind, you should avoid chewing on hard objects and biting your fingernails to avoid damaging those bonded teeth. What is the Average Life Span of Bonding Material? A typical bonding lasts between three and 10 years, but this can vary based on personal dental care habits. Making small repairs or replacing a damaged bonding is an easy procedure for an affordable dentist. The cost of bonding can vary depending on your location and chosen dental clinic. Contact your insurance company to see if bonding is covered. Then contact an affordable dentist for pricing details.